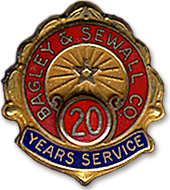 In February of 1893 a young man named Clarence E. Kinne began working for the Bagley and Sewall Company as a mechanical draftsman. In August of 1938 Mr. Kinne became the President of the company and later retired in 1940. His tenure with the one company he virtually devoted his life’s work to spanned 46 years. How many Americans today can possibly conceive of working for the same company for longer than perhaps even five years? In fact, the current average for an employee to stay with a particular company is 3.6 years. 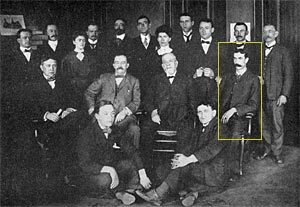 It could be argued that Mr. Kinne was not a typical man nor a typical employee and that Bagley and Sewall was not a typical employer. 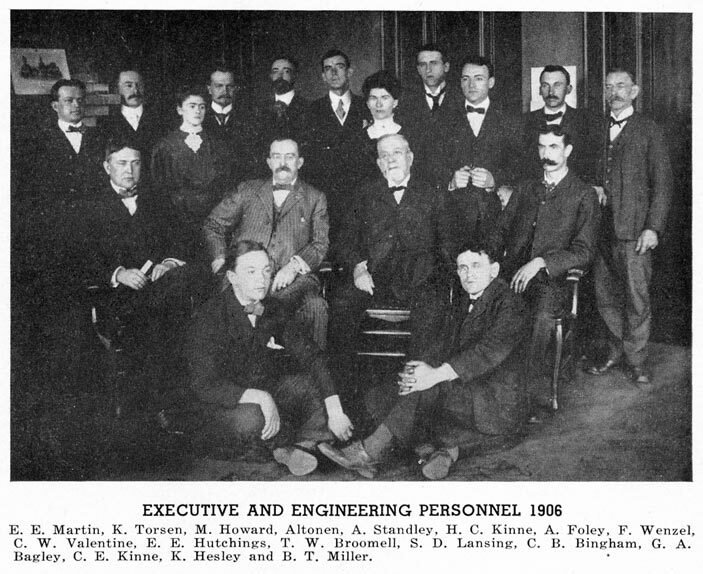 There may be various degrees of truth to that assertion however the long list of other employees that worked for the company for over 20 years strongly suggests that there is more to it and Mr. Kinne had strongly held views regarding the subject of maintaining the loyalty and longevity of the worker. There are many important social and economic considerations regarding this issue that force regular discussion in the corporate board rooms and major think-tanks of today’s business world. However the central question from the NewRuins perspective is what of significant value may have been lost in the 100+ years since Mr. Kinne decided that he was most comfortable with the roots established by devoting his talent and efforts to one company. Fortunately he maintained a journal and expressed his views in public writings such that we are able to gain some insight to his perspective. Clarence Kinne was a self-actuated individual and it should be clear by his success in the company that he possessed a gift for engineering. In that respect he was an above average individual. However, he did not have the benefits of a college education to draw out and fine tune the skills that would ultimately find him to be one of the leading designers of paper making machinery in the world. These skills he had to acquire on the job as a self-made man. 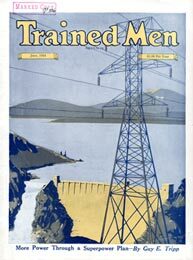 An article titled “Employs Ideas — Not Men Only!” by Olin Lyman appeared in the June 1924 issue of a journal called “Trained Men.” This was a promotional magazine published by the International Correspondence Schools of Scranton, Pennsylvania and the article featured the Bagley and Sewall Company and Mr. Kinne’s success in self-education through their program. While the entire article is most interesting (the full text is available from a link to the right) the comments from Mr. Kinne regarding the philosophies of work and company loyalty bear heavily on this topic. Mr. Kinne is quoted “Every employe is encouraged to become interested enough in his job, and in the job ahead of him, to form the habit of intensive, practical study. That generates ideas, and ideas are what we want, continually. We have had many men who germinated real ideas, and we have seen to it that it paid them to think.” But would not every American company today express this sentiment as being their own? Likely yes, but in practice most would not measure up. Sound and viable ideas are no less valuable today than they were in 1924 when this article was written. The business environment and technical conditions are very demanding and complex today. Most companies have a clear hierarchy that prevents an idea germinated at a lower level from reaching viability with upper management without re-authoring along its route. The cooperative and democratic work environment envisioned, and apparently practiced by Mr. Kinne and Bagley and Sewall may have succumbed to overt ladder climbing by whatever means is personally required. Another aspect reported to be of great significance to the longevity of the companies employees is that “Nearly all the men employed own their own homes.” Long considered to be one of the cornerstones of the American Dream, home ownership in 1920 averaged about 46%. This was a significant attribute for the B&S work force at that time. Today the national average is 66% and may be perceived as more of an expectation than the enhancement to one’s life it was in 1920. Not revealed by such statistics however is the fact that people were not as likely to sell their house and move to another city for job advancement in Mr. Kinne’s time as they are today. He talks of paying young prospects well, providing training and encouragement, and then rewarding them when their accomplishments and potentials rise. It is at this point that many move on to other companies in the current business climate since workers aged 25 to 34 average only 2.7 years at one job. It is most interesting to note the dramatic difference in sentiment and underlying motivation in the words of Mr. Kinne’s day and the words of our time. One of the sources used in this writing for information about current worker statistics was an article that quoted a Mr. Drizin, vice president of business alliances for Walker Information (a market research company) as saying “Employees are no longer willing to work womb to tomb. Retention is an issue that goes right to the bottom line.” This is no doubt a valid statement but it is clear that the “bottom line” is considered to be more important than the fact that as living beings, we do follow the “womb” with the “tomb” and may need more than mere “retention” in the process.